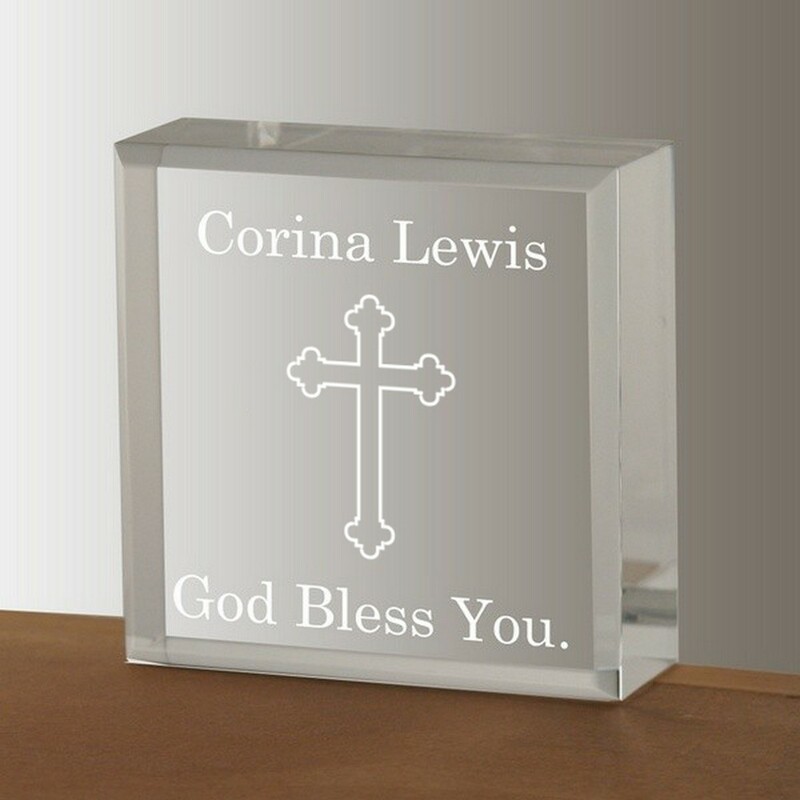 Personalize top message (25 char. 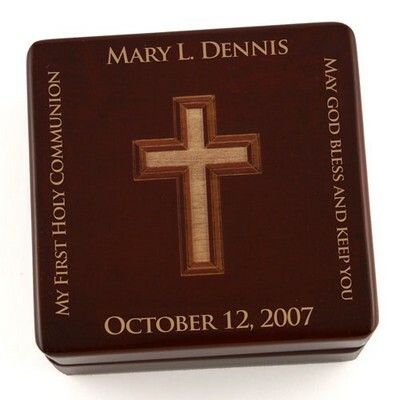 max) You have 25 characters left. 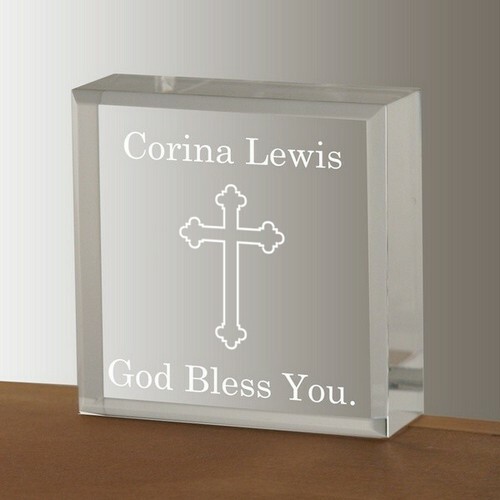 Personalize bottom message (25 char. 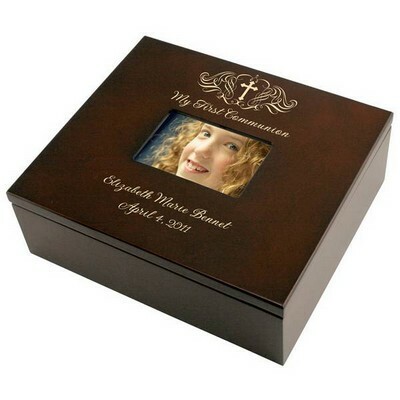 max) You have 25 characters left. 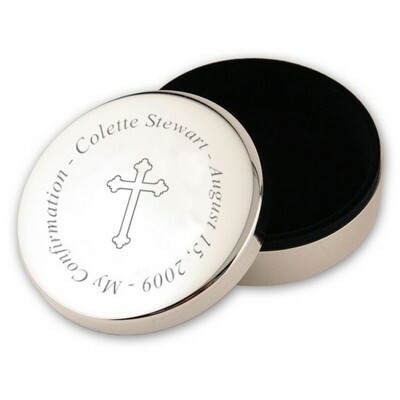 The Tiny Treasures with elegant cross keepsake is a versatile gift that works as a religious gift idea suitable for any religious occasion. 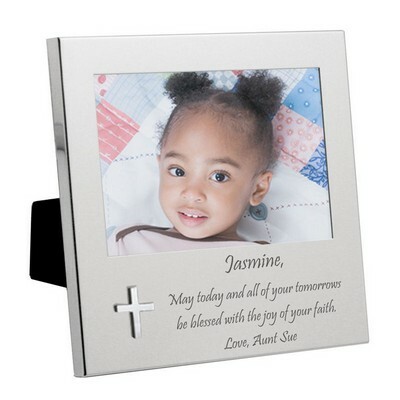 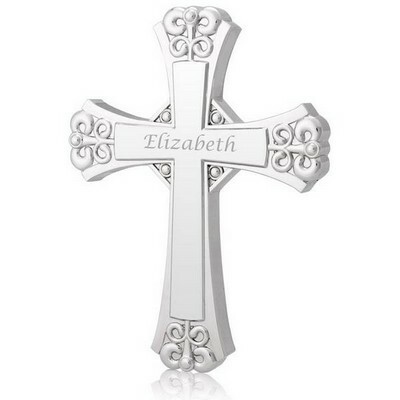 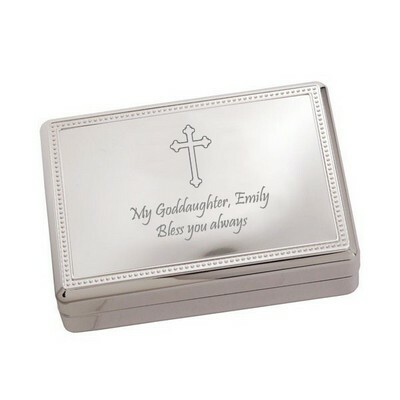 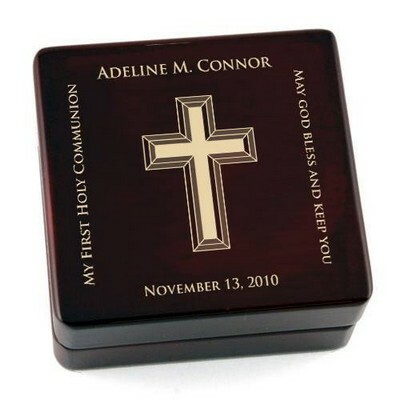 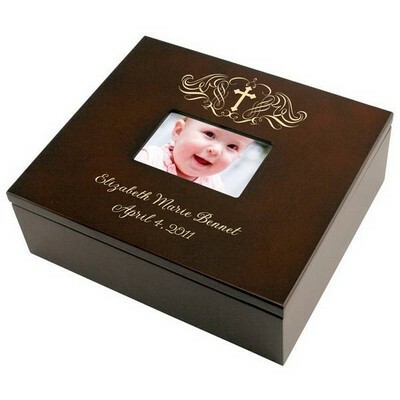 The 2 1/2" by 2 1/2" by 3/4" acrylic keepsake features a engraved cross applique in the center of the box, with ample room to laser engrave a name, date or personal message. 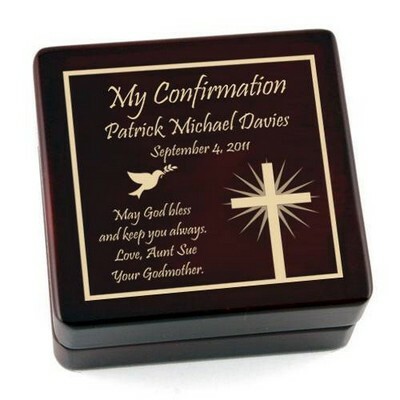 This keepsake is ideal as a catholic baptism gift or catholic confirmation gift, and is a lovely way to commemorate a special religious occasion.